Omorovicza products lift the spirits as well as giving skin the benefit of their powerful age-defying formulations. This is thanks to their luxurious feel, smell and packaging and the Rose Lifting Serum is no exception. Minerals from the Hungarian thermal waters and their signature 'Hydro Mineral Transference' system help enhance the skin's ability to recognise a good thing, in this case the peptides, vitamins, minerals and trace elements in the serum. All in all, this is a gorgeously luxurious product to treat your skin. Beautifully light and swiftly absorbed, this hydrating serum is the ultimate treat for your skin. 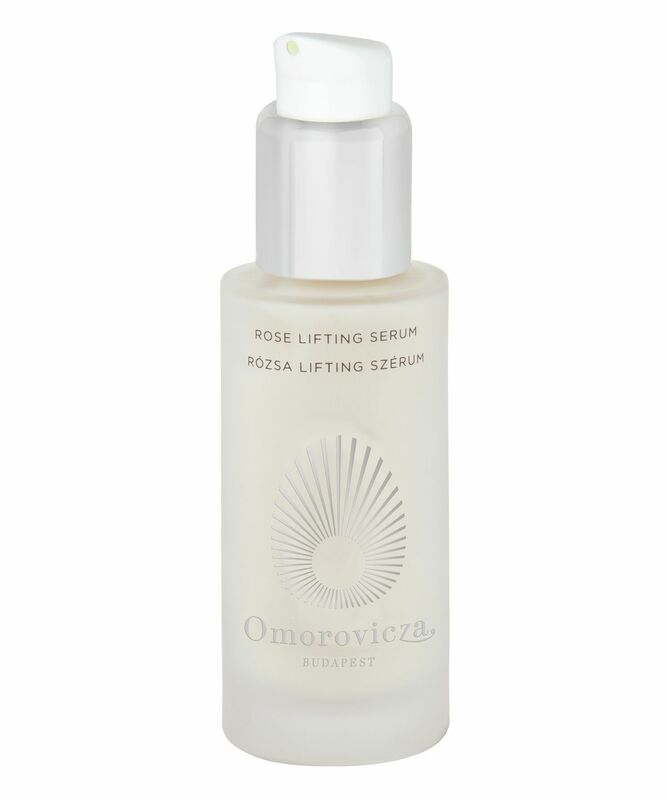 Rose Lifting Serum is fragranced with the rose flower water and contains Omorovicza's famed Hungarian thermal water alongside a cocktail of luxurious ingredients like sea mayweed (which helps relax the facial muscles) and ruby crystals (which blur fine lines and add radiance). Wheat polysaccharide also help minimise fine lines and wrinkles to leave your skin visibly smoother. The result is subtly lifted, firmed skin with a youthful, radiant glow. Apply a tiny amount evenly to your face and neck after cleansing, in preparation for the appropriate Omorovicza mosituriser. Tried this as part of a luxury Christmas advent calendar. I don't normally take the time to write reviews, but I've never tried a product that is as bad as this. It evaporated the minute it reached my skin and somehow made it very dry. Very uncomfortable to wear. Can't believe it costs so much! This product works amazingly well to brighten and refresh the skin. After a few days of using this product my skin was hydrated and soft and it is not too heavy.